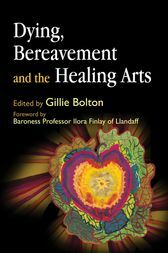 Dying, Bereavement and the Healing Arts describes a range of successful programmes pioneered by artists, writers, nurses, musicians, therapists, social workers, and chaplains in palliative care settings. These range from simple painting and writing activities to organized communal activities like writing and performing a play. The arts are shown to offer a means to reflect on memories, hopes, fears and anxieties, and gently explore the emotional, spiritual, and psychological issues which can aid a fuller understanding of oneself and one's condition. The arts also serve as a way to communicate difficult and complex feelings to professionals or family members not possible in everyday conversation. Dying, Bereavement and the Healing Arts offers valuable insights and inspiration for any practitioner working in a palliative care setting. Dying, Bereavement and the Healing Arts offers valuable insights and inspiration for any practitioner working in a palliative care setting. In my opinion, this is a rare case of something doing exactly what it says on the tin.